Research shows that 20 percent of bicyclists who died in a collision with a motor vehicle were at least 20 years old or older. In addition, officials learned that only 17 percent of bicyclists who perished in crashes were wearing helmets at the time of the collision. According to the U.S. Department of Transportation, in 2013, crashes between bicycles and motor vehicles resulted in 741 deaths of bicycle riders. This figure is two percent higher than the one for the previous year. Although there are local bike helmet ordinances in some states that apply to everyone who rides a bicycle, some people believe that this is insufficient and wish to expand state laws to include adults. This idea does not appeal to bicycle advocacy groups. Executive Director of the California Bicycle Coalition Dave Snyder stated that people can ensure that cycling is safe by enacting measures that create safer roads. He suggests that officials do this by lowering speed limits or separating cars from bicycles by introducing more bicycle lanes. 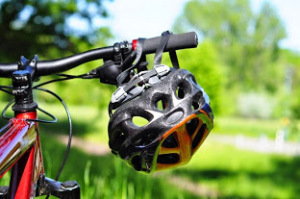 Others believe that there is a contradiction within bicycle helmet laws. According to Policy Director for the Los Angeles County Bicycle Coalition Eric Bruins, legislators are telling California residents that riding a bicycle is excellent for their health. At the same time, they are suggesting that riding a bike is also extremely dangerous, so they must protect themselves with bicycle helmets. He believes that the latter statement will prevail, and people will decide not to ride. The opposition to the proposed bike helmet law does not mean that bicycle advocates are opposed to wearing them. Some advocates wear helmets, and they suggest that other people do the same if they believe that helmets will help them feel more secure. Their only objection is the fact that a law will take their choices away from them. Although the Department of Transportation and other agencies cite statistics that demonstrate a reduction in fatalities when people wear bike helmets, researchers have not been able to definitively state that the cause of the decrease in fatalities is the bike helmet. The medical community has even participated in this debate. According to a report that was featured in the medical journal BMJ, researchers couldn’t determine that there was a direct correlation between a reduced fatality rate and the existence of bike helmet laws. They also agree with bicycle advocates who state that bike helmet laws prevent people from riding their bikes. Everyone in the medical community doesn’t agree with the studies listed in the BMJ report, including those associated with the Journal of Pediatrics. Researchers studied the data over a 10-year period and found that child bicycle fatalities and injuries did decrease by 20 percent. This occurred in states that had bike helmet laws on their books. A research study performed in Great Britain adds to the confusion. Ian Walker is a psychology researcher from the University of Bath who placed sensors on bicycles that can record the distance between the bikes and other vehicles. He found that motorists made sure to give volunteer cyclists who were not wearing helmets an extra 3.3 inches of space that was not given to subjects who were wearing helmets. His conclusion was that bicyclists who wear helmets have an increased risk of being involved in a bicycle accident. What is the explanation for the phenomenon described above? The professor believes that it may be because motorists think that a rider who wears a helmet takes his or her riding very seriously and is unlikely to do anything unexpected. Legislators from several U.S. states have considered mandatory bike helmet laws for adults, but these laws failed to pass. If the California law does pass, the money collected in fines will be designated toward bicycle-related causes. For example, some of the money will fund a program to help families with limited resources obtain bike helmets for their kids. The final one-fourth will be designated toward the city’s general fund. Were You Hurt in a Bicycle Accident? If you have been involved in a bicycle accident, it will be in your best interests to contact a bicycle accident attorney. As a bicyclist, you may have suffered very serious injuries in a collision with a motor vehicle, and you may have large medical bills you need to pay because of it. This becomes difficult or even impossible when you are unable to work. To add insult to injury, the at-fault driver’s insurance company may have denied payment of your claim, or they may have offered an amount that is much lower than you deserve. If one of the scenarios described above resembles your situation, call a bicycle accident attorney today. You are also within your rights to contact an attorney if you lost a loved one in a bike accident. Your attorney will work tirelessly to ensure that you receive a fair settlement in a personal injury or wrongful death lawsuit.